As I’m trying to fine tune Love in Sioux Falls, I decided to create a little collage to print out and pin on my board. I wanted something simple but that spoke volumes about the feeling of the book and the way my two main characters see life. If you want to see more inspirational pictures and quotes I have gathered for this book check out my Pinterest Board: WIP Love in Sioux Falls. 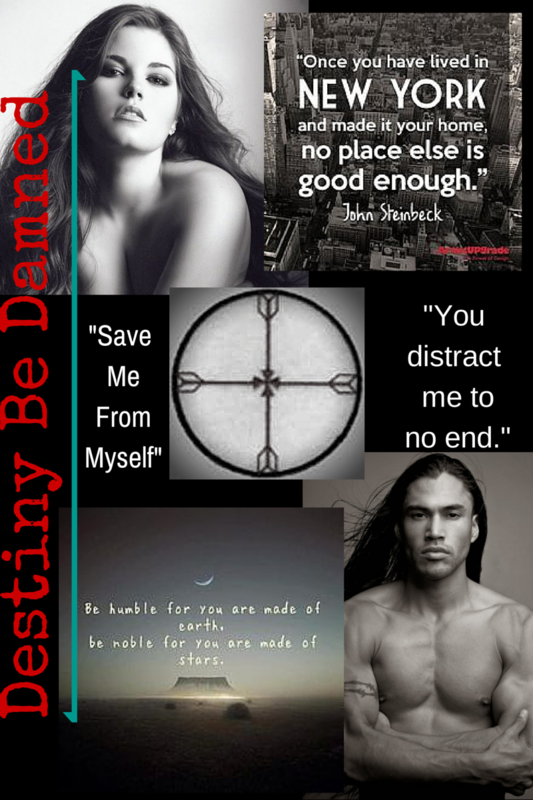 This entry was posted in My Writing and tagged Collage, Darla G. Denton, Inspiration, Kristen, Love in Sioux Falls, Pinterest, Romantic Suspense, Takoda. Bookmark the permalink. 4 Responses to Destiny Be Damned!